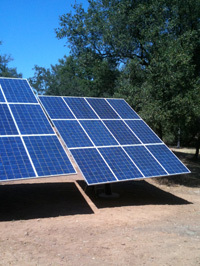 Adding solar to your home or building can be an overwhelming experience. We have taken the extra steps to eliminate the stress from our customers. Let us plan, install and setup your rebates while you relax. Capable of installing the system yourself? No problem, ask us about our "Do it yourself solar services". We're always just a phone call away at 916-771-3600 or we're available 24/7 via our online email form.